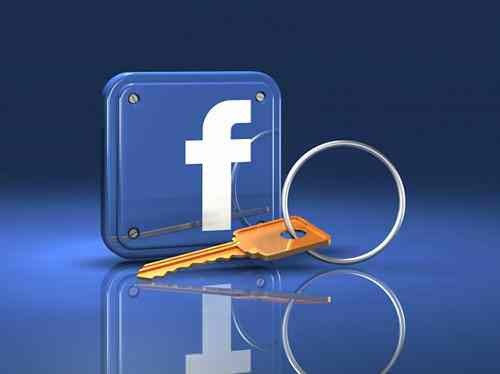 Hacking Facebook account password is always on priority list of new hackers and for some its the motivation factor. Today we will learn different ways of Hacking Facebook passwords. I have already posted two posts on How to Hack Facebook account password, first using the Keyloggers and other is using Phishing. Today I am going to reveal all the methods that can be used to hack a Facebook account password. Today I will cover all 4 ways to Hacking Facebook Account Password that all hackers usually use to hack your Facebook account. I am explaining this method first because it is the easiest and also the most popular method for hacking Facebook passwords. You can also search Google for the various forms of popular Facebook hacking methods and you will always see the Phishing technique as the primary option. I am going to explain the methods in order of popularity. My favorite method for hacking Facebook passwords is Phishing. If you want the latest Facebook phisher, then subscribe to my hacking tricks and email me privately or post your email in the comments below. If I were to provide this information publicly on HackingLoops, Facebook would block it, the way they did the last one. In addition to being my second favorite, this is the best method for advanced hackers. This method is less popular than phishing because it is a lengthy process that requires you to download a hack tool, create your keylogger, and then send it to victim. There is also a security risk with this method, you don’t want to download a keylogger that already contains some type of malicious spyware. Keylogging becomes easier if you have physical access to the victim’s computer, as the only thing you have to do is install a keylogger and direct it appropriately so that it sends all recorded keystrokes to your selected destination. Keyloggers record the keystrokes into a log file that you can use to obtain your desired Facebook passwords. I have written a complete article on how to hack Facebook accounts remotely using Keyloggers, and I recommend you read it if you want to learn this technique in detail. If you need the latest Fully Undetectable Keylogger, subscribe to my hacking tricks and email me privately, or post your email ID in the comments and let me know what you require. If someone manages to gain access to your primary email address, they can easily hack your Facebook account using the “forgot password” trick. The hacker will simply ask Facebook to send the reset link to your primary email address, which they’ve already hacked. Thus, your Facebook account password will be reset and will also be hacked. Always remember to protect your primary email address. Consider using a separate email address whose sole purpose is to be associated with your Facebook account in order to maintain security. At first consideration, this method doesn’t seem viable. For a long time, even I neglected it – until I successfully guessed my friend’s password using this method. For novice hackers who may not already be aware, social engineering is a method of guessing a password or successfully answering a security question simply by hacking some information about the victim or gathering information readily available on a victim’s social media profile. Many people divulge important information without realizing its significance, or consequence. Proceed cautiously with this method, do not alert the victim of your intentions. 1. Their mobile number or their girlfriend or boyfriend’s mobile number (Always try previous or old mobile numbers, as sometimes your friends are smarter than they seem). 2. Girlfriend or boyfriend’s names, or their own names concatenating with a girlfriend or boyfriend’s name. 4. Their favorite movie names, cartoon characters, favorite music band, or hero names (such as Batman, Dark Knight, Superman, Godzilla, or Spartacus). 5. It is extremely important to remember that most websites now require passwords to be alphanumeric. Many users just add “123” or occasionally “! @#” to their passwords, amazingly in sequence. Note, the above common passwords are not from any internet resource, but from my own case study. I reached these conclusions after hacking 19,788 emails accounts. You may be curious how I managed to hack so many accounts; as I mentioned earlier, for advanced hackers, RATs and keyloggers are the best option. I used a keylogger USB and spreadable pendrive. Whoever used the infected USB drive became infected and then passed the USB along. IFor more advanced hacking tactics subscribe our Insiders Hacking Training List.